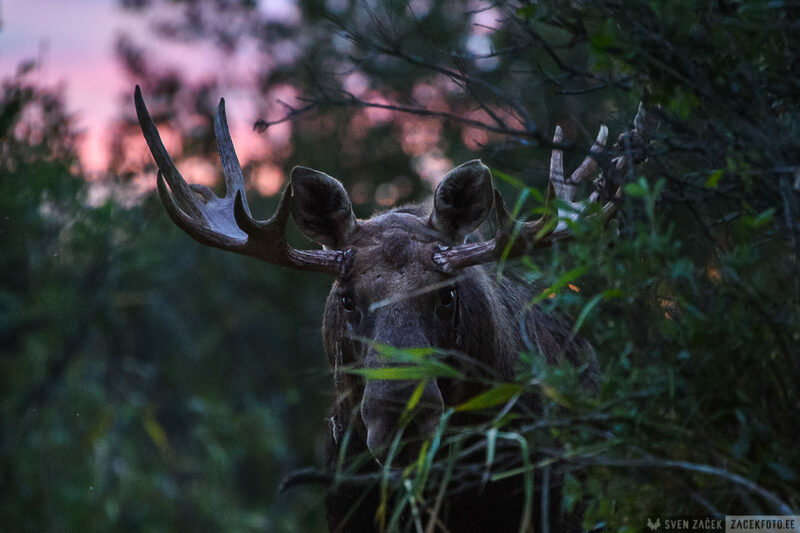 Powerful, but a little shy bull moose who revealed itself half covered by the bushes. Even tough it didn’t make for the best photo I must commend its strategy. Before coming out into the open, be sure of your strength. I was there half an hour early and did my best to keep quiet. I turned out that I was blocking the way of this bull moose. Camera clicks let it know that there was no way through though.